On May 16, 2019, FOCUS St. Louis will honor 20 individuals, organizations, and initiatives making a difference at the 22nd Annual What’s Right with the Region Awards Celebration. The honorees were nominated by the public and selected by a panel of community judges for their impact and service to the community. Honorees have demonstrated innovation and vision in making the St. Louis region a better place to live, work or visit. Honorees have harnessed the power of the arts and imagination to bring about change in the region. Honorees have shown a commitment to promoting diversity, access, inclusion and opportunity for all. FOCUS will also present the prestigious board-designated FOCUS St. Louis Leadership Award to entrepreneur and philanthropist Bob Fox. 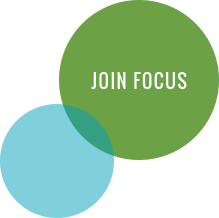 FOCUS Alumni Awards will be presented to Chris Chadwick (Coro Women In Leadership / Leadership St. Louis) and Blake Strode (Youth Leadership St. Louis / Leadership St. Louis). All in the community are invited to help recognize these outstanding leaders at the 22nd Annual What’s Right with the Region Awards Celebration.